The beginning-level project is designed for members 12 years of age and older by October 1st of the 4-H year. younger members may take this project under the guidance of a knowledgeable adult. It is recommended for use by 4-H members wanting to build, modify, or repair steel-based projects. This project should take between three and six months to complete and may be repeated. 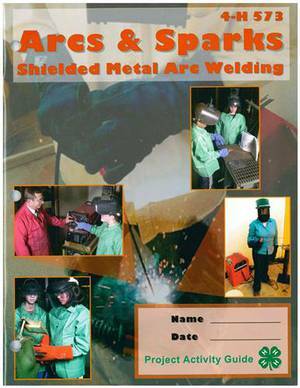 Learn how to find an area to work on your project, how to identify welding tools, welding safety, and decide on appropriate projects for the year. You'll also learn how to measure and mark materials, use a square, use a portable power drill, grinder, and more.